Each hour is encrypted with a maths problem. 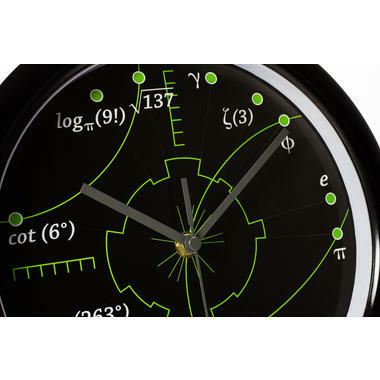 The special feature of this wall clock is that each hour is encrypted with a maths problem: The solutions to the tasks correspond to the questions' clock numbers. 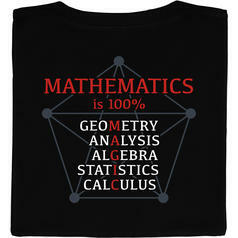 OK, you're allowed to admit it: Maths was your favourite subject at school and you just couldn't get enough of it, right? And even today, you can easily solve maths problems 'around the clock' without breaking a sweat, yeah? 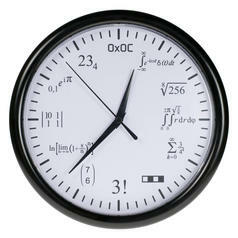 Well then, time to check out our Maths Clock 2.0. Perfect for your wall at home or at the office. Before you can tell the time, you have to solve a mathematical problem first: Some of the tasks are quite easy, like the Apéry Constant, while others, like the Natural Logarithm of the Prime Number 997, are more challenging. The Maths Clock uses precise and smooth quartz clockwork, while on the back you'll find a little space for hanging the clock on the wall with a hook (not included). Impress your friends and colleagues with your mathematical expertise by solving the problems written on the Maths Clock in front of their eyes with the greatest of ease! Even if you don't have a clue what the signs and formulas actually mean... Knowledge is relative... and so is time! 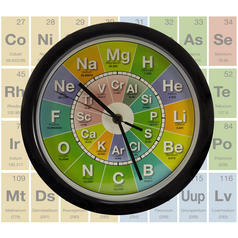 313 SEK lade... Maths Clock Each hour is encrypted with a maths problem. 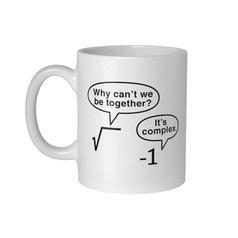 104 SEK lade... Complex Mug (?-1) really want to know who took my maths mug! 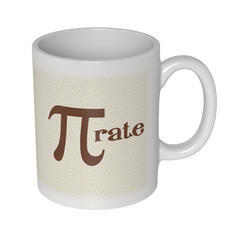 The one with the funny joke about complex numbers! 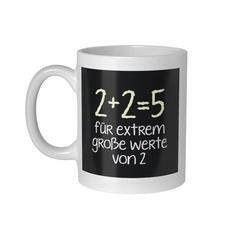 104 SEK lade... 2 + 2 = 5 Mug This mug informs everyone that two and two make five - you better believe it! 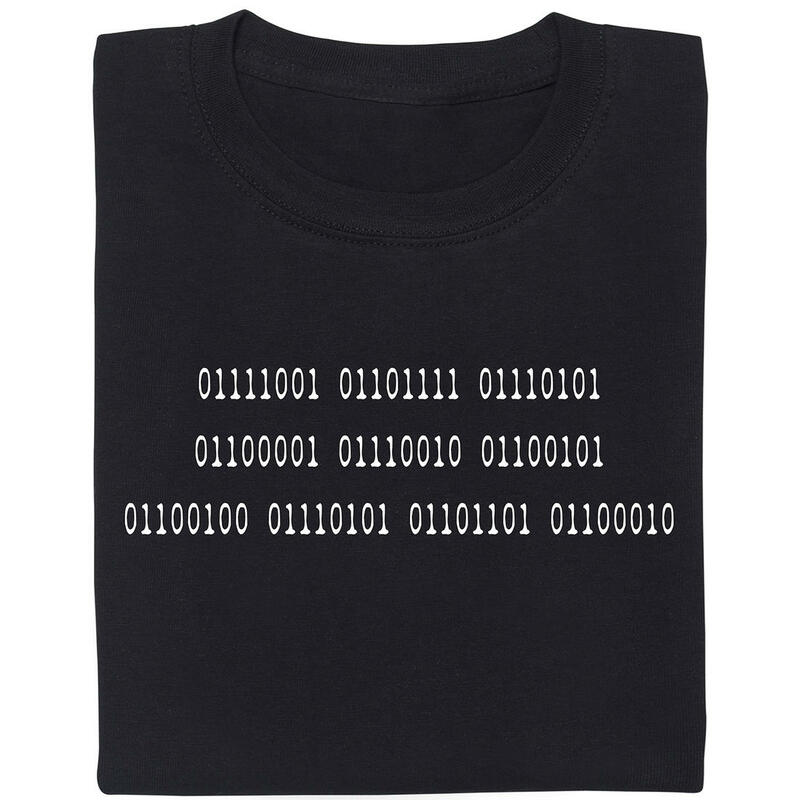 from 240 SEK lade... Fair Geek Wear Mathematics is 100 percent Magic T-Shirt This motive is a backprint. 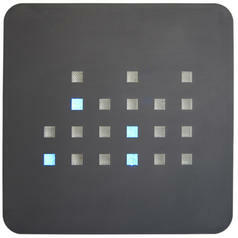 from 783 SEK lade... Binary Wall Clock Our popular binary clock is now also available as a big wall clock! 104 SEK lade... PIrate Mug Being a ?-rate is all right with me! Do what you want 'cause a ?-rate life is free. This mug will bring the high seas into your office!